There are two sides to every story, and every story is up for interpretation. 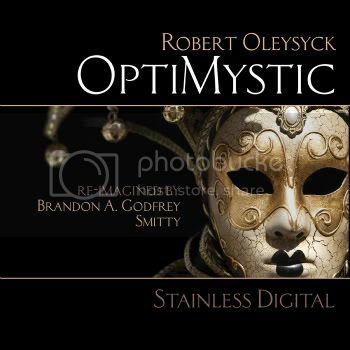 With OptiMystic, Las Vegas legend Robert Oleysyck presents a multi-faceted journey that integrates various bands of the emotional spectrum. Blurring the lines between groovy progressive house, and deep tech, the presence of feeling and soul cut through a thick, moody center, caressed by a delicate shell of lilting keys and sanguine accents. Like the petals of a flower revealing to a morning dew, a panoramic cloud emerges from the mysterious night, encompassing the listener in a blissful state of emotional twilight. Stainless' own Brandon A. Godfrey and L.A.'s infamous Smitty offer up their own interpretational remixes, while retaining the feel of mysterious optimism. Sign up to our alerts on Juno Download.